Should You Sign a Trust Deed When Selling Your House? Home » Blog » Should You Sign a Trust Deed When Selling Your House? Paperwork is king when you’re selling a property. The stack of paperwork is actually much heavier for the buyer than it is for the seller. You won’t need to deal with a mortgage company this time around, but your buyer will. They’ll be getting a lot of paperwork, and only some of it has anything to do with you. There are a few kinds of deeds involved. One of them is the original property deed, which is mostly your responsibility, and the other is the trust deed, which is mostly the buyer’s responsibility. What Happens During the Selling Process? As soon as you accept an offer, the selling process begins. That’s when all the paperwork starts to get drafted up, including the sales contract. It’s also when you’ll talk about things like contingencies and anything you’ve agreed to do to or with the property before the new buyer assumes ownership. It’s usually very straightforward, and most of the time, the buyer makes an offer at which they’re comfortable purchasing the home the way it is. The buyer will be trying to get approved for their home loan at this time, which is when they’ll be getting the bulk of the documents (including the trust deed). The lender might want to have an official appraisal done on the property, as well as some inspections. Your real estate agent (if you’re using one) will help facilitate everything. You’ll need to consult with them during the process, but the arrangements will likely be made on your behalf for the most part. The closing process is almost the same as the process of moving into an apartment. Closing day is when the person buying your home signs the final escrow paperwork, at which point they’re the official owners of the home you’ve sold them. By this time, every condition the lender had before granting the loan needs to be satisfied. You don’t need to go to the closing process. There isn’t much for you to sign, and what paperwork needs to be provided on your behalf is generally handled by whoever is representing you. You might need to go if you sold your home by owner, and if you didn’t, your real estate agent has everything covered. You shouldn’t have to sign anything at the closing appointment. 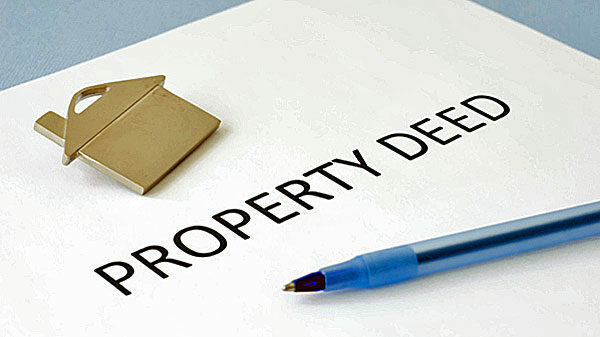 What’s in the Property Deed? The property deed is sometimes called a warranty deed. This is the deed you need to provide. You got a deed when you bought your house. It’s basically a piece of paper that proves the person who owns the house was legally able to sell it to you, and that the home is completely yours now. That’s your proof of ownership for your home. When you sell your home to someone else, you have to repeat this process over again. You have a deed now that says you own the home, and you have to sign it over to the new owners. The deed needs to outline information about the property in legal terms, and disclose anything that the buyer might need to be aware of. At the end of the closing process, you sign over the deed. That’s when the property officially belongs to the buyer, and the documentation gets filed away. In a few weeks, the new buyer gets their official copy of the deed. The sale becomes public record, and everything has officially changed hands. What’s in a Trust Deed? A trust deed is legal loan paperwork. Some states use a regular mortgage document, but other states require that lenders use a trust deed as a security measure. Basically, a deed of trust empowers the lender who technically owns the home until it’s paid off. If the buyer misses too many mortgage payments and the home enters foreclosure, the trust deed is used to prove that the lender owns the home from a financial perspective. This allows the lender to initiate foreclosure and short sale if the buyer defaults. The person (or people) buying your home need to sign this trust deed, as well as any co-signers they’ve worked with to secure the home loan. It needs to be notarized and witnessed before it’s filed. When the house is completely paid off, the buyer has met all of the obligations of the trust deed. At that point, the home is released from the trust and is completely and entirely owned by the buyer. Should I Sign a Trust Deed? As the seller, you have no reason to sign a trust deed. You aren’t responsible for the new buyer’s ability to repay their lender. If they default on the home, the home becomes property of the bank. The bank is free to do whatever they’d like with it, and the process doesn’t involve you at all. The trust deed has absolutely nothing to do with you. You only need to sign a trust deed when you purchase a new home. 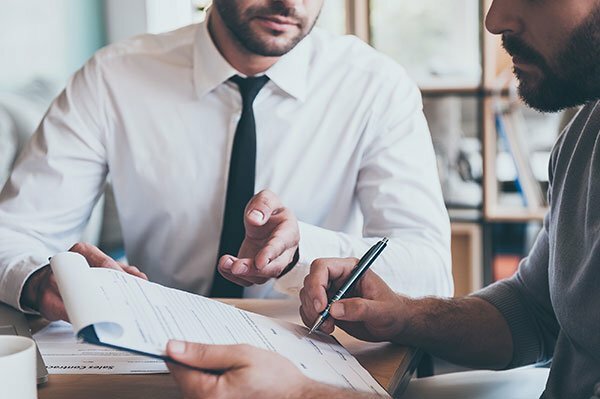 If you’re taking the money you’ve received from the sale of your home to purchase a new home and you’ll need a mortgage loan to do so, that’s the only time where you’ll need to sign a trust deed. Trust deeds pertain specifically to loans, and they may not be necessary in every purchasing process. Can I Sell a Home Without Loans or Trust Deeds? You can sell a home without having to wait around on any lender to approve a buyer’s request for a home loan. This happens when the buyer is paying exclusively in cash that they have on hand. Not many buyers purchase a home entirely in cash – this is usually reserved to people who have inherited large lump sums of money. You can always turn to an investor. Since investors buy houses with cash, they don’t need a deed of trust. The sale can be completed in as little as seven days, and you’ll have your cash sooner. If you’ve had experiences with buyers who couldn’t secure a loan and deed of trust, investors are an excellent workaround. « Previous Post What is a Deed When Selling Your Home? Next Post » Who is Responsible for Title Insurance?